Sounds pretty bleak? It’s not all bad, and many of the nurses we know have had wonderful, supportive experiences in nursing school and in their various placements. However, nursing has a bad reputation for bullying, especially nurse-to-nurse. We know that being a bullied target in a nurse’s uniform has all the same problems as anyone experiencing workplace bullying (or school bullying, for that matter). Health Problems. Depression, anxiety, anger, PTSD, decreased energy, sleep disturbances, appetite changes, to name a few. Family relationships suffer. Work Performance Problems. Lack of initiative, lowered creativity, increased absenteeism, lack of energy, “infectious” bad morale, heavy use of Employee Assistance Programs. Serious Problems Ahead. Bullying, or any type of prolonged excess stress, can also result in very bad “self-calming” behaviors – excess drinking and drug use, for example. These behaviors are bad in anyone, but especially risky in health care professionals. Employers Lose Too. It’s expensive and dangerous for employers (hospitals and other health care organizations) to be routinely short-staffed and constantly needing to scout, hire, and train the revolving door of employees who leave when bullying becomes too bad. The everyday loss to productivity for those dispirited employees remaining on the job, has been estimated as high as 40%. It’s well-known that the brains of employees (or students) in bullying environments are diverted from full attention to their work (or school work). A significant background portion of your brain remains on alert in these unpredictable environments, protecting you, always ready for fight or flight. Bullying can compromise on-the-job performance in life-threatening ways. Here’s a worrisome finding. A 2004 survey by the Institute for Safe Medication Practices found that workplace bullying in health care posed a critical problem for patient safety: Rather than bring their questions about medications orders to a difficult doctor, almost half of the health care personnel surveyed said they would rather keep silent. Equally concerning, 7 % of the respondents said they had been involved in a medication error in the past year in which intimidation was at least partly responsible. It’s hard enough to be a patient without having to worry that some of the safety mechanisms around you may be disabled. 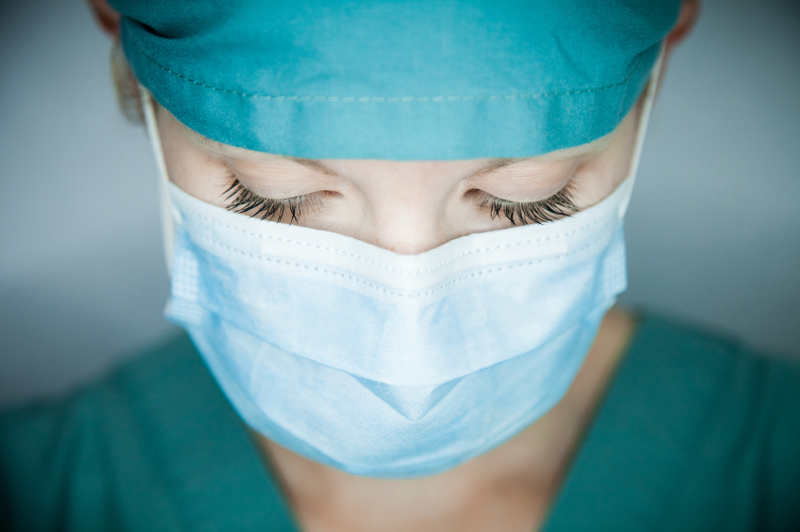 Nursing – and health care, in general – is a stressful occupation. Literal life-and-death decisions are routinely made. Health care providers, especially those who work in hospitals, including the subset of surgeons, surgical nurses and technicians, ER personnel, ICU, CC, NICU, and first responders, etc, have above average stress coping skills and the ability to function well in a routinely high-pressure, high speed environment. Clearly, they don’t faint the sight of blood, but there is a limit for even the most stress-hardy individuals. Do we really want people who make key, life-influencing decisions to be (1) extra stressed from working in bully-filled environments or (2) afraid to speak up, ask questions or clarify, even when they know the need to be clear and select the right treatment is important, perhaps crucial, to a patient’s well-being? Sleepless nights, rotating shift work, long shifts, filling in during times of short-staffing, etc all add structural stress to the content stress of the job. Employers need to be aware of the additional stress they may be contributing, either by ratcheting up the stress of the work schedule or by allowing bullying to continue once management becomes aware there’s a bullying issue brewing. Stress fuels bullying. In everyone’s life, stress undermines performance AND it makes you more likely to become a bully. When you‘re at the edge of your ability to handle your own stress, it’s very easy to slip across the line into being a bully yourself, without intending to or recognizing it. Stress handling is a key skill, for bully and target, especially in environments where high stress comes with the job. Meditation, exercise, healthy eating, and laughter do a lot to help improve the brain’s ability to handle stress. Temporary Coping Strategies. While we’re trying to shift the culture, we need to have some protective policies in place. For example, some hospitals have a “code pink” for nurses in trouble or being bullied. That’s a coping strategy. The best strategy, however, is heading it off much earlier, before the problem needs a full-scale intervention. Let’s continue the conversation. This article has focused on understanding the nature and cause of bullying in nursing. Next Step: What’s the cure? What type of bullying do you see most in nursing? Is it vertical (nurses to physicians or supervisors) or horizontal (nurses to other nurses)? Where does nurse-patient (or patient’s family) bullying fit in? What do you think is causing bullying in nursing? Can you make a few suggestions for how to prevent it? Make some suggestions for how to manage the problem while we’re trying to shift the culture? For example, “code pink,” mentioned earlier, is a coping strategy. Send us your thoughts and watch for our next article on bullying in nursing, which will focus on prevention and repair strategies. I have also work in health care 13 years as a male nurse and I would always see other nurses being bullied or harassed but I never thought it would be my turn to go thru it . A certain doctor would always be name callin me she didn’t care who was around so I reported her to my supervisor and tha was a bad choice I took . Anyways she threat in me to keep mouth shut i refuse when the to HR another bad choice things got worse now more doctors would intimidate me humiliated me and all this were female doctors in different occasions they would leave tampons or Kotex on my chair or desk . I mean it was crazy then they stared blamin me for wrong shoots given when I was off them days they were desperate to fire me then they accuse me of trying to kill one of them that’s when I dicided to take time off but the union did not help me or HR even when I had witnesses proofs so I come back a year later only to be suspended on my 3 rd day back for what they did not want to tell me but I love my job and patients but with out help I think I will not be doing this anymore. some people could be real evil and they supposably take care of patients because it’s in there. Blood yeah right all doctors are Hippocrates. I’m a patient who has been bullied by nurses. I have met too many who take pride with a very militant attitude of “don’t mess with nurses or else”. It’s scary how they blanket every complaints from patients towards unethical nursing as just patients being difficult and that said nurses try and create a martyr narrative for themselves in defense. Also just as scary how they feel the need to derail the conversation of nurses bullying non-nurses by constantly brining up how they are the victim of doctors and patients as if that conversation isn’t already being had everywhere else. There need to be a safe and nonjudgmental space for patients and non-nurses to speak about the harsh victimization they have gone through through the hands of nurses without nurses making it about themselves. I advocate for myself as a patient that nurses take a good look at themselves and have an honest conversation about the perpetuation and enabling of bullying towards patients and non-nurses deeply rooted in the nursing discipline. I demand that instead of pointing fingers and dismissing the conversation with platitudes such as “no profession should bully another”, take an honest look at your discipline and have conversation of the problem that is UNIQUE of the nursing discipline. It is time that patients are heard BY patients and not dictated by those who harm them.